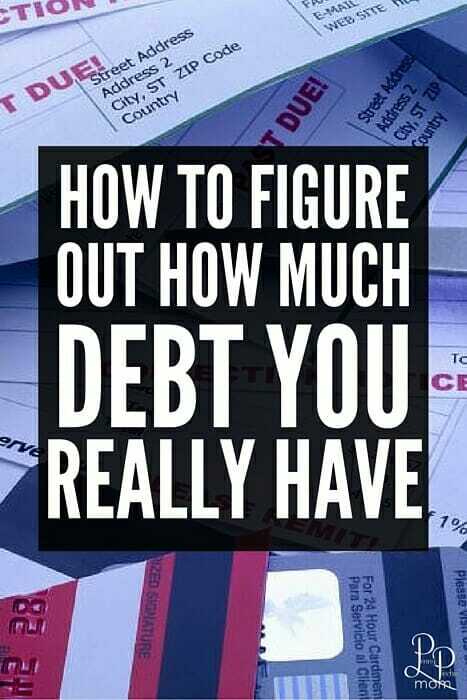 It can be easy to lose track of how much debt you really have. Between student loan payments, a monthly mortgage, credit card bills and more, you can lose sight of it. If you have no idea how much you owe, obtain copies of your credit reports. You will want to make sure you do so from all three major credit reporting agencies. This is a great place to start tallying up your balances. You can pull your credit reports for free each year at AnnualCreditReport.com. Credit reports can change from month to month. If you’re actively paying off your credit cards, there’s a good chance that the balances shown on yours are a bit out-of-date. Complicating matters, issuers tend to report balances as of your statement’s billing date. That means your latest monthly payment may not be reflected in those totals just yet. To get an accurate read of how much credit card debt you owe, you should check your current outstanding balance online. Account balances are generally listed on your credit report. If they’re not — or you’re otherwise confused about what you owe — you should contact the creditor associated with the account. You may have to do a little digging particularly for an account you don’t recognize. If you do not have a billing statement, contact information from major lenders should be available on the company website. Some firms may even have designated landing pages for customer service issues or complaints. If you’re really in the dark about your debts, it’s important that you don’t necessarily take every account listed on your credit report at face value, simply because it’s actually very common for errors to appear on one. If there is an account you don’t recognize on your report, again, contact the creditor in question to get as much information as you can about the balance. You’ll want to make sure the debt is actually yours and not the result of identity theft or another reporting error. If you do determine that the information was a mistake, you should dispute it with the credit bureau.